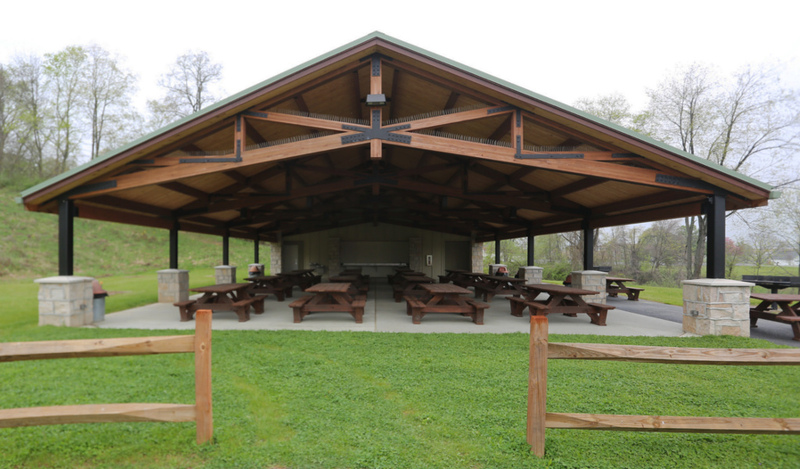 The pavilion features an inviting, open layout. 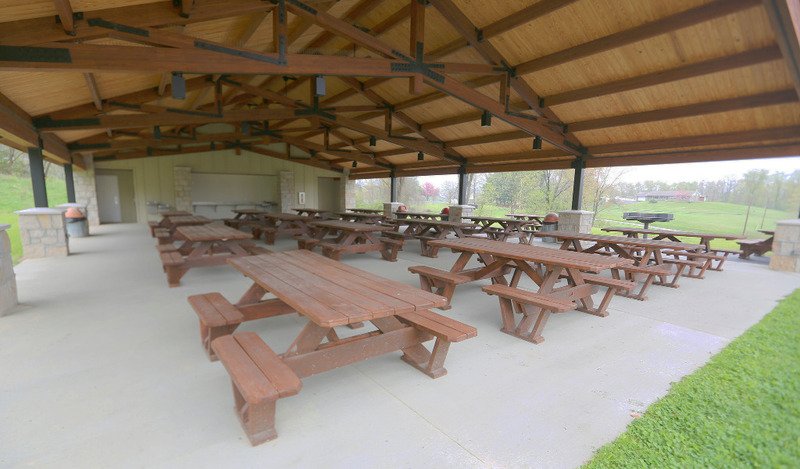 The spacious seating at the pavilion can accommodate very large gatherings. This stainless steel food-staging area gives you plenty of space for crock pots, casseroles and other serving containers. 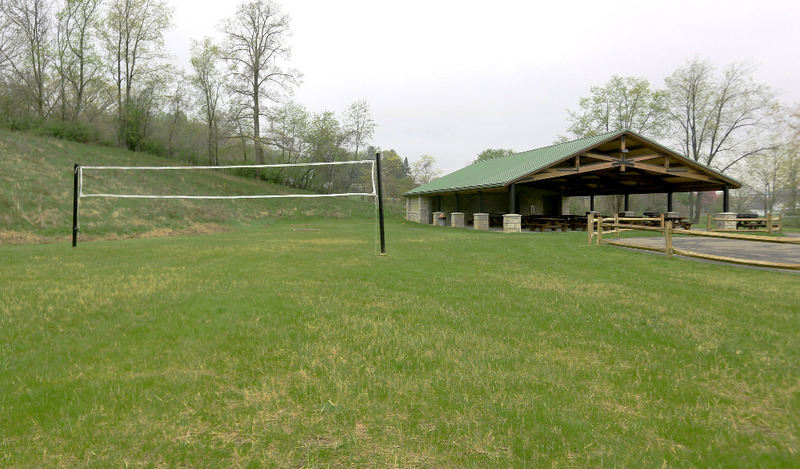 A volleyball net can be set up nearby for your recreation. 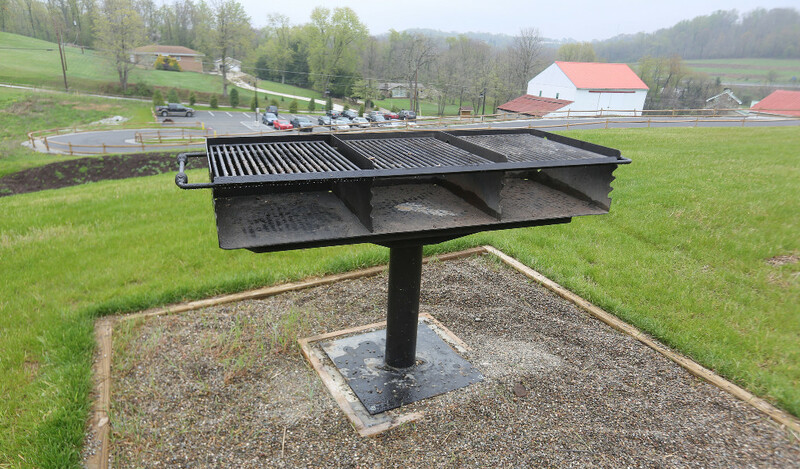 There is also a large grill and outlets available for your convenience. 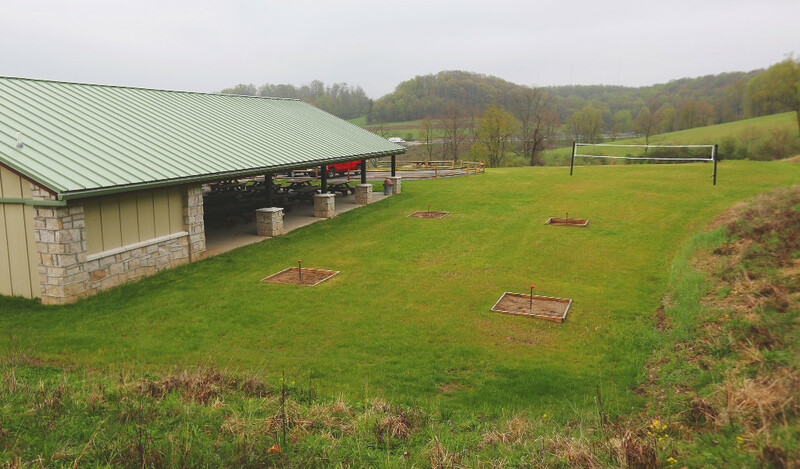 There are two horseshoe pits beside the pavilion as well. The pavilion sits on the hill above the property. 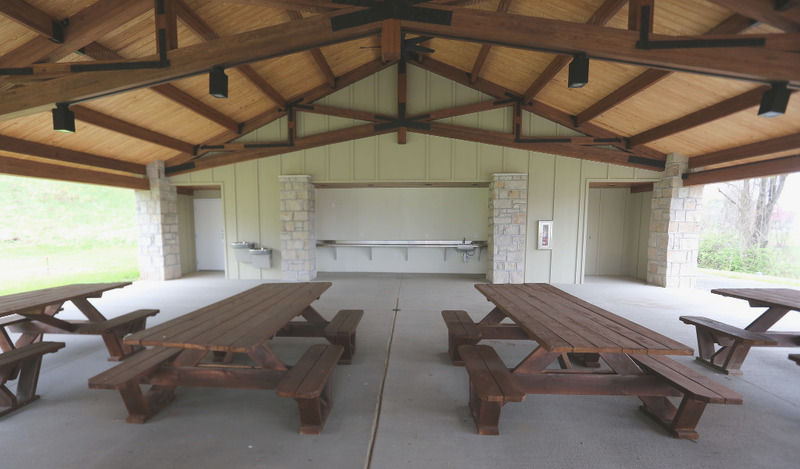 It has 16 picnic tables (seats 128), men's and women's restrooms, drinking fountains, a food staging area with running water, a horseshoe pit and volleyball area. There are 2 handicapped parking spaces within walking distance and a roundabout to drop off food, supplies, and people!